Home Off Beat	Mario & Jedi tattoo: Two-in-one! Planning to get a gaming character etched on your body but baffled which one to get done? Well, hereâs an innovative idea! How about getting two of your favorite characters meshed up. You donât believe me? 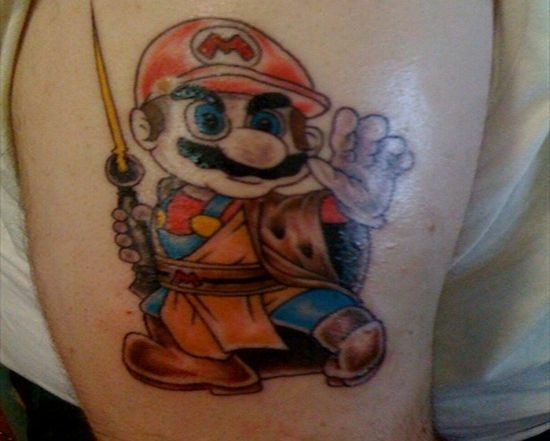 Check out the cool blended tat of Mario and the Jedi pictured here. Quite novel, isnât it?